Enjoy 10% off your total bill when dinning in a group of 10 or more, exclusively when you book through Go Dine. Book online for free text confirmation or call 01623 341 180. A 2 for 1 menu deal is available exclusively for Go Dine customers from Tuesdays to Thursdays, upon request. Book online for free text confirmation or call 01623 341 180. Amazing exclusive 5 course deal deal for only £11.95 per person or £22.00 for 2 people. Includes the following: Papadum chutney tray Choice of soup (four to choose from) choice of starter (four to choose from) Choice of Main (four to choose from) Choice of side (four to choose from) Roti or nan or rice Tea or coffee Book online for free text confirmation or call 01623 341 180. 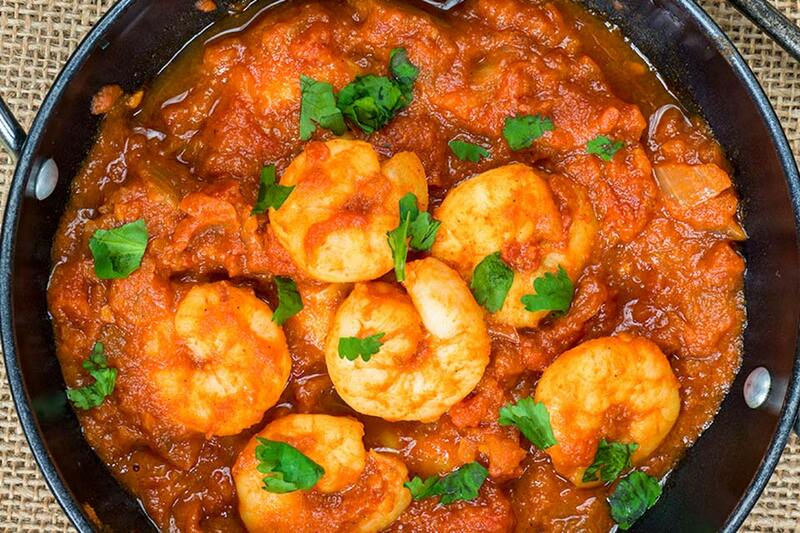 Gurkha Junction Restaurant is located in the peaceful market town of Nottinghamshire, Mansfield. Gurkha Junction is easily accessible from Nottingham and Derby with great transportation links to the restaurant from both cities. 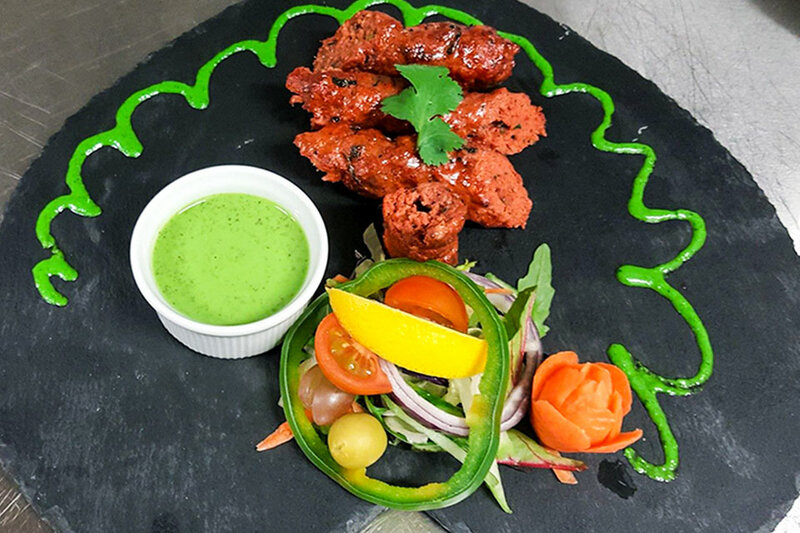 Gurkha Junction provides traditional flavours, serving Indian and Nepalese cuisine in a friendly environment. Gurkha Junction is a fine dining and traditional restaurant, decorated very simply and contemporary, yet elegant. The walls are grey with a tint of red to go with the table decoration, together with traditional wall art creating a very relaxed and homely environment. The venue looks cosy and features warm and soft tones which offers a quiet and peaceful establishment. The team of staff also contribute highly to making customers feel like they are at home, by providing excellent and friendly service. 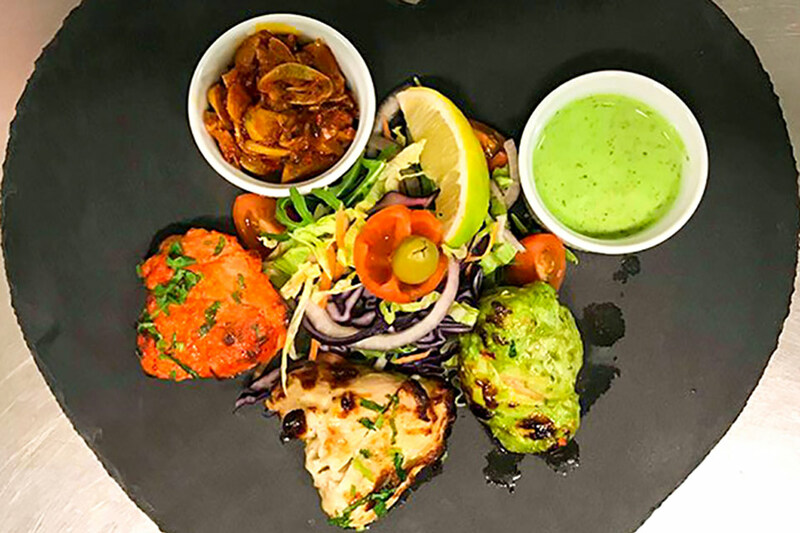 Serving a mix of Classic Indian and Nepalese cuisine, Gurkha Junction offers delicious dishes starting at 5pm until late. Choose from delicious starters such as Masu Momo or Dill Tikka Salmon. 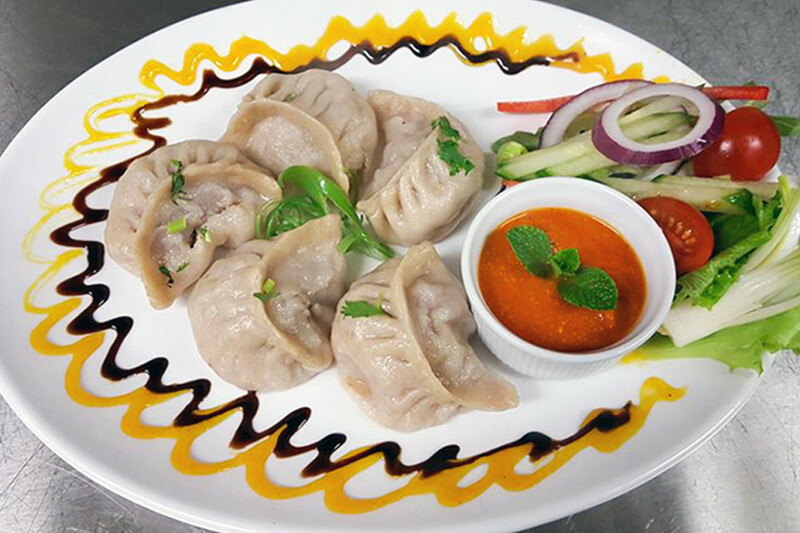 For Main you can enjoy Gurkha Specialities, traditional Nepali and Indian home style cooked dishes, like Sagarmatha or Lasuni. Not to forget to mention there are plenty of vegetarian friendly dishes to choose from too, such as Vegetable Korma or Kadai Paneer. Not only are these dishes mouthwatering and full of flavours but there is also plenty of choice, which means that anyone's taste buds will be fulfilled. 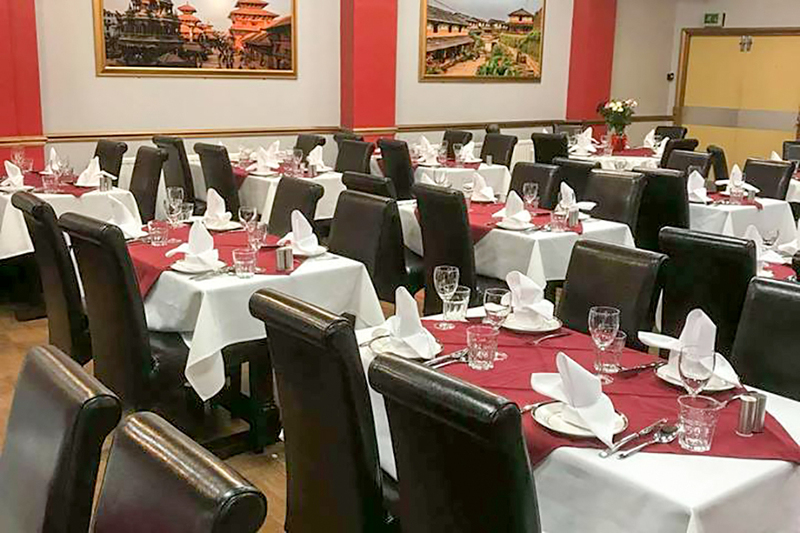 Gurkha Junction is ideally located for those who are looking for a mouthwatering and tasty dinner any day of the week, or to relax with friends and family over amazing food. 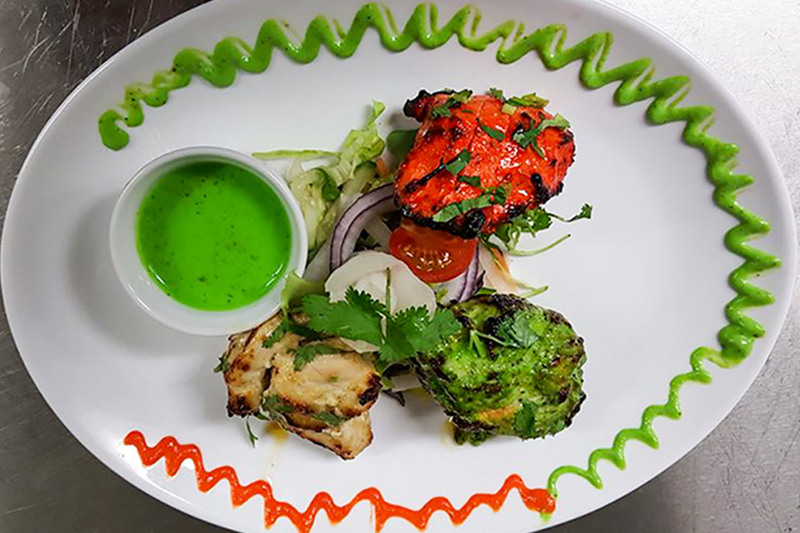 If you want a meal in a fine dining venue created by people who know how to blend spices perfectly to deliver traditional, stunning and rich aromas, then look no further than Gurkha Junction in Mansfield. Enjoy 10% off your total bill when dinning in a group of 10 or more, exclusively when you book through Go Dine. A 2 for 1 menu deal is available exclusively for Go Dine customers from Tuesdays to Thursdays, upon request.